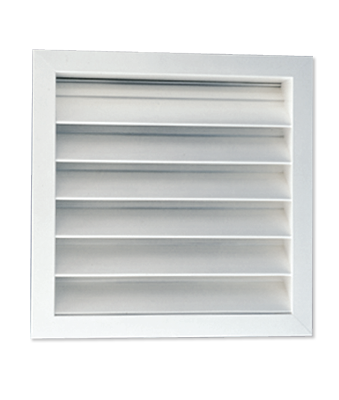 Polyaire Model OAL Outside Air Louvres are designed to provide weather protection of outside air or discharge openings yet to allow free passage of air. These external Louvres may also be used for natural ventilation. The Polyaire Small Section Outside Air louvre model OAL-S is normally used for small sizes and small air quantities. manufactured to order in a wide range of sizes.